Kia Ora Koutou Katoa My name is Patricia Moore. I have worked all my life as a writer and educator in Australia and New Zealand and have had the good fortune to travel to many parts of the world. This has given me the opportunity to move from writing fiction and educational resources, to the travel stories, anecdotes and observations which appear on Travelstripe. East of Glyfada but still in the shadow of Mount Hymettus, lies Vouliagméni. With their golden sands and turquoise waters, the beaches of Vouliagmeni rank among the most beautiful in the Mediterranean. Many, including the famous Astir, (home of the late Jackie Kennedy’s favourite resort) are private. Although this sounds exclusive it really means that, for about 8 euros, anyone can colonise a deck chair and avail themselves of the facilities and services. For nothing at all, though, you can swim at a public beach (equally beautiful) lie on your towel, do without facilities and services, mingle with the locals and still have a great day out. Just a five minute stroll from the town square, is Vouliagmeni Lake. Formed by mineral springs which bubbled up from underground to fill an ancient limestone cave, the lake is famous for its soothing, healing waters. It’s heaven, they say, for sufferers of arthritis and rheumatism and it also takes the sting out of an overdose of sun! 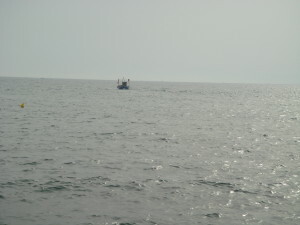 Vougliameni also boasts a Marina full of classy yachts and a collection of glam hotels and resorts. 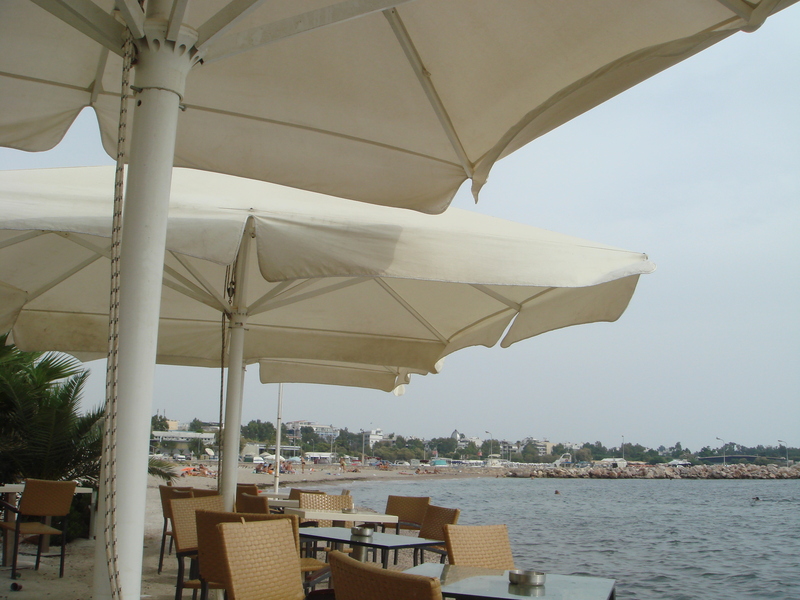 There are great cafes, restaurants, tavernas and clubs in Vouliagmeni. The nightlife, especially in summer has a buzz all of its own. One of Vougliameni’s loveliest spots, however is its picturesque harbour with its view out over the distant islands of the Saronic Gulf. From the Port of Piraeus, 7 kilometres south of Athens, to the ancient ruins of Sounion, 70 kilometres further on, lies one of the loveliest stretches of coastline in the world. It’s the province of magnates, oligarchs, tycoons and celebrities as well as sun-lovers and fun-lovers. They call it the Greek Riviera. While Piraeus doesn’t have the golden sands and beach culture which attract schools of sun-lovers, it does draw its share of magnates, tycoons, celebrities and fun-lovers. 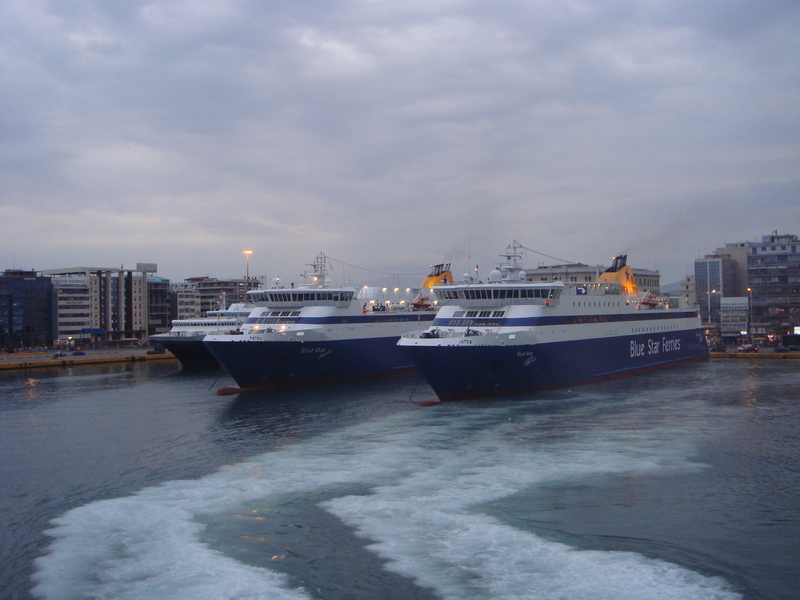 Shipping Magnate Aristotle Onassis installed his fleet in Piraeus after the Military Junta of 1967. Oligarchs park their super yachts here. Easycruise, the maritime branch of Easyjet, sails in and out of Piraeus. The hilltop neighbourhood of Kastella is one of the most desirable in the Aegean, the kind where the rich and celebrated hang out in gorgeous mansions with million dollar views. Fun-lovers frequent the tavernas, restaurants and night clubs of Microlimano. They come to play in Allou Fun Park. So, start at Piraeus and then follow the coastline along the Greek Riviera. After almost two months of traumatic homelessness Travelstripe is pleased to be rehoused in a new corner of the blogosphere . Before I resume where I left off, on the glorious Greek Riviera, I would like to devote a post to defining the travelstripe. What exactly is a travelstripe? I must confess, until seven years ago, when it was suggested to me as a possible domain name, I’d never heard the word. I must confess that I wasn’t really terribly enamoured of it. It seemed an empty, meaningless tag, without depth, history or associations. It bothered me more than a bit. After while, travelstripe became my growing collection of writings. I became travelstripe and travelstripe became me. I had grown into travelstripe. 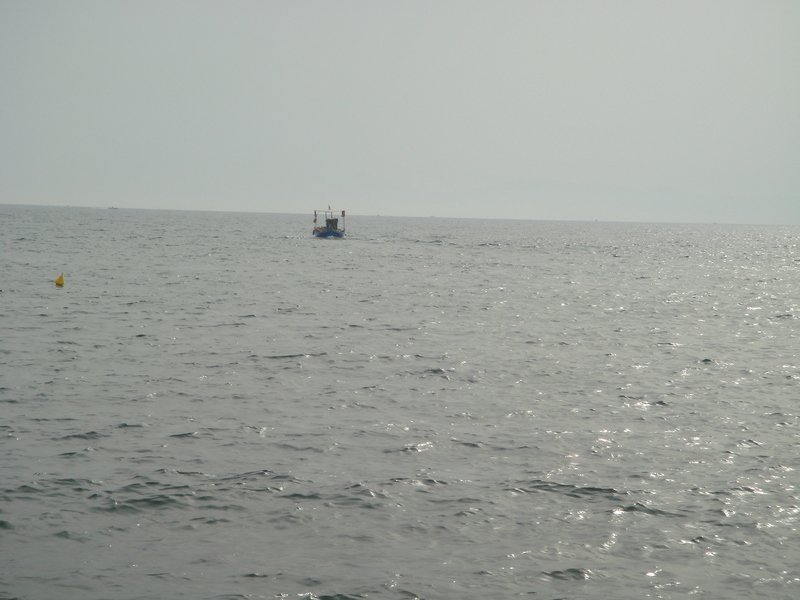 But still, I felt a niggling need to find a meaning for the word – some thing or notion that could define it. 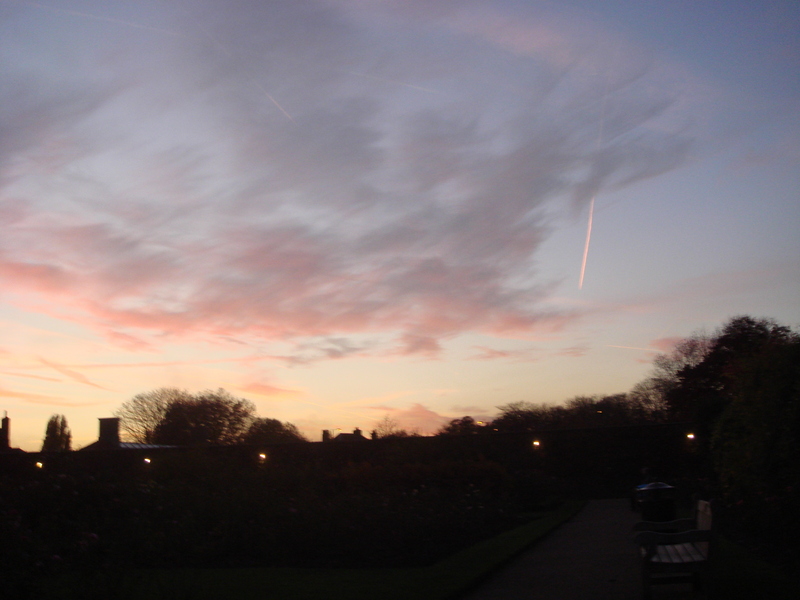 At last, one early summer evening, in the rose garden at Hampton Court Palace there it was, etched across the sky, a trail of white, left by a plane heading west to the horizon – a travelstripe.